While Quebec was busy with post-election analyses and predictions about Legault’s new government, Romania was preparing for a referendum that had been 3 years in the making. The referendum was officially about “clarifying” the constitutional definition of marriage by replacing the “union between spouses” with the “union between one man and one woman.” In reality, it was a referendum on much more than that: LGBT rights, the role of religion in government, and even Romania’s European Union membership. Political and religious leaders alike gave so many different meanings to the question of the referendum to such a degree that the legal aspects became virtually irrelevant in the debate. The main parties of Romania – both in government and in opposition – threw their support behind the referendum. The powerful Orthodox Church did the same. Huge financial resources were invested by the American-funded evangelicals. However, the referendum failed due to an abysmal turnout of 21%. Four in five Romanians preferred to stay home, go for a walk, eat pizza – in short, do anything but go and vote. The next morning, the proponents of the referendum were in dismay. Nobody wanted to take the blame for the failure of the vote, leading to a farcical scene were the leaders of the “Yes” campaign blamed everybody – liberals, progressives, “Marxists”, the “gay mafia”, and even the Romanian people themselves. In fact, none of this is true – and really nothing much has changed. The morning of October 8th, Romania was still the same country as before the referendum, with low wages, institutionalised corruption, bad infrastructure, and incompetent public servants. Romania did not become an LGBT-friendly country overnight either. And surely, gay marriage or “gender propaganda” did not take over the country – heterosexual marriage is still the only form of marriage allowed by the country’s Civil Code. The result of the referendum has nothing to do with what its initiators intended, but it points instead to what may trigger change in the country. The referendum did not prove that Romanians support gay marriage, but that Romanians have priorities other than a debate around LGBT rights. And, more than that, it proved how weak the influence of the Orthodox Church is in public affairs. Ever since the fall of Communist rule in 1989, the Orthodox Church of Romania has kept on growing in power, influence, and assets. There was (and still is) one main unspoken rule when it came to the relationship between religion and government: the Church would support whoever is in government, while politicians would be careful to supply the Church with public funds, buildings, and land. Opinion polls suggest that the Church is one of the most popular and trusted organisations in Romania, along with the Army. The Church is also the institution with the closest grassroots links to local communities. There is, on average, one parish for every 800 Orthodox Christians, which comprise around 85% of Romania’s population. However, in the past few years, the improvement of press freedom in Romania gave journalists the courage to start digging into Church affairs that were always kept far away from the eyes and ears of believers. Extensive journalistic investigations led to the first criminal charges against high-ranking clergy in Romania’s history. Last year, the Church had to deal with two scandals which involved a well-known priest as well as a powerful bishop, both of whom were accused of having had sexual encounters with underage boys. For the first time in recent history, the Church’s popularity fell under 50%. These events did not take Romanians by surprise: Romanian skepticism about the priests’ good intentions has always been present in popular culture, with literature and popular wisdom expressing such themes. 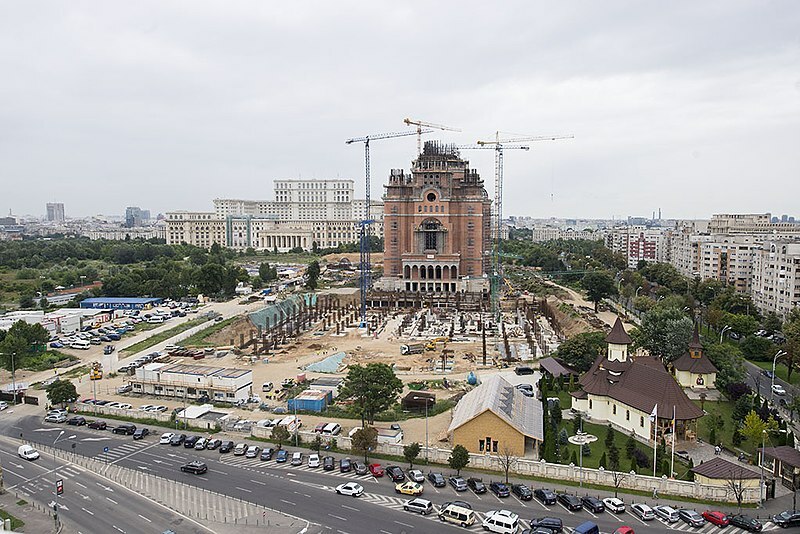 However, the Church is also seen as one of the most important institutions in Romania’s modern history, as it was a significant factor in the creation of the modern Romanian nation state. The first Patriarch of the Church, Miron Cristea, even served as Prime Minister for one year when the country was under the threat of far-right extremism and Nazi and Soviet conquest in the 1930s. Romanian (ethnic) identity is also strongly associated with the Orthodox faith. And there are many instances in Romanian history when religious leaders also served as community leaders, especially in Hungarian-ruled Transylvania, when the majority Romanian population was relegated to second-class status. Faith also played a role in Communist Romania, as it was seen as a way of resistance against the totalitarian regime. Given this context, it is not surprising that there has been reticence to bring forward criticism of the Church in open, public debate. But this is no longer the case. Gripped by high-profile scandals, and especially corruption-related affairs, the Church was already standing on thin ice. In one of the European Union’s poorest and most corrupt countries, the opulence and impunity of high-ranking clergy has increasingly been viewed as an insult to the people. The last thing keeping the Church’s power intact was its apparent political influence and the reluctance of politicians to upset the bishops, fearful that the bishops might speak publicly against them and cause them to lose their offices. But the Church has thrown its full support and significant resources behind the anti-LGBT referendum. It made the referendum a question of national identity and it directly associated itself with the “Yes” campaign. The fact that only 20% turned out is telling, even in a country with historically low election turnouts. The myth of the all-powerful, all-knowing Church has been shattered. It seems that Romanians are no longer willing to buy what the high-ranking clergy is selling: their quality of life, their wages, their pensions, and Romania’s well-being are much more important than the distant themes and luxurious cathedrals that the Church is lobbying for. Quebec invented the Quiet Revolution, and it took it a decade to escape the grip of the Catholic Church. It seems that Orthodox Romania is slowly starting to follow Quebec’s path and have a Quiet Revolution of its own, Eastern European-style.